Digging The Pulp…A Conversation With Ruddy Games’ Jon Gill And Brian Kopleck About SKULLDUG! This time on Go Forth And Game I’m adventuring into the deep caverns to talk to Jon Gill and Brian Kopleck of Ruddy Games. Skulldug! is their latest game currently on Kickstarter. Brian: I’m a game developer currently working and living in the SF Bay Area. Jon and I met when I joined his team for our senior project at UC Santa Cruz, Asterogue. Well, technically I met him on a bus sophomore year, but he snubbed me then. He also hates when I tell that story. Jon: I was very busy on that bus ride — no time for chit-chat with people I’d eventually go into business with! Anyway, I’m a game developer working in Seattle. Brian and I founded Ruddy Games after working together on Skulldug! for a year and a half, when it became clear that we had a game worth taking to publication. Tom: Now talk about Skulldug. Jon: Skulldug! 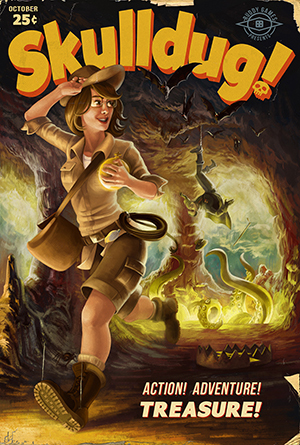 is a competitive pulp exploration game, an Indiana Jones-style romp where players race to explore a deadly cave and escape with three treasure cards. Each treasure comes laden with a unique curse that weakens your character, so you’ll have to think carefully before picking one up — even the most valuable treasure is worthless to a dead man. Along the way, you’ll drop traps, fight monsters, collect equipment, and knock down walls, all in the name of striking it rich. Brian: Skulldug! was conceived during the 2013 Global Game Jam. I expressly wanted to make a board game with unique narrative moments, things you’d want to share with all your friends because they hadn’t happened to anyone else. We interpreted that year’s theme (the sound of a heartbeat) as tension, which we implemented in the form of cursed treasure, a mechanic that makes the game harder in different ways as you collect more treasure. Between that and the procedural cave creation, we found we were on to something special. Tom: It sounds fun. Talk about how the game plays. Jon: Skulldug! is a map building and traversal game at its heart, as the players build a unique cave each game by exploring outwards from an initial starting passage tile. Each turn, you have 3 action points to spend on moving, picking up items, using your equipment, and even shoving your fellow explorers into other passages. If you ever move into an area of the map without a passage tile on it, you immediately flip over a new passage tile and place it on the board, then draw the contents of that passage as specified on the tile. There are two decks of contents: a blue Fortune deck that contains treasures and useful equipment, and a red Hazard deck of traps and monsters that you must fight when you encounter them. Brian: The game usually starts with a lot of discovery as players build the cave outward looking for the best items to improve their character’s capabilities. Along the way, they’ll discover a treasure or two, but some treasures are too risky to pick up early in the game. In the mid game, players will start paying attention to what their opponents are doing, and will place traps or manipulate the cave to head them off. When one player finally manages to collect three treasures, the game turns into stopping that player at all costs, with the hope that you’ll be the one to loot their goodies once they’re out of the way. Tom: This sounds really interesting to me. It’s a unique take on a dungeon crawl and the “Incan Gold” parallels (which I’m sure you’ve heard) are cool. It may sound a lot like that game on the surface, it seems that it is quite different and deeper. Skulldug has funded and will be made. Congratulations!!! What are the pledge levels? Jon: We’ve tried to keep pledge levels simple to keep the focus on the game and minimize risk. However, we are offering a few fun bonuses in addition to copies of the game. We’ve included a special Advocate tier for fans who want to support us a little more, which includes a digital making-of artbook and a customized letter inducting the backer into the in-game team of their choice. This letter is hand-typed on a real typewriter, and should be a fun way to involve the backers in the theme and world of the game. 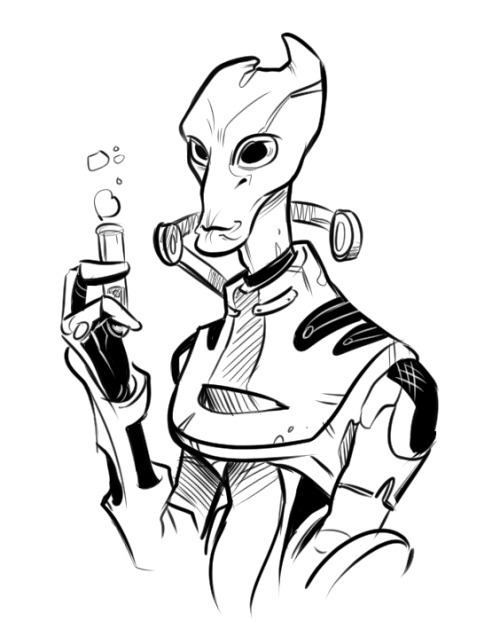 We also have a number of tiers that go beyond that by offering the backers the chance to have their portrait drawn by our artist Ghia Mercado and added to the game as one of the explorer characters. We actually launched with two separate tiers for this, offering half the available portraits for male backers and half of them for female backers, as we wanted to include a diverse selection of explorers in the game regardless of the breakdown of our backers. Based on the popularity of both of those tiers, we feel like we made the right choice! Tom: What are some of your stretch goals? Brian: Most of the stretch goals improve the quality of the game components, like blue core cardstock or a plastic box insert. We’ve also just announced a new goal that would upgrade the passages from cards to 1mm chipboard tiles, which had been requested by several of our backers. Jon: We also have a stretch goal for a team-based mode that allows you to partner up with another player in your quest for the treasure. I really hope we hit this one — it requires a number of extra components to make it work, but it offers an exciting twist on the base gameplay that encourages a lot of new and interesting strategies. Since it supports up to 3 teams of 2 players each, it also raises the maximum number of players from 5 to 6. Tom: I’m a big fan of all things pulp. Why did you choose that as your theme? Jon: We wanted to avoid the traditional swords-and-sorcery fantasy setting that most dungeon crawlers fall into. Skulldug!’s design is interesting in that it features a negative ability curve — your character tends to grow weaker rather than stronger as the game progresses and you lose health, use up your equipment, and take on more curses. This flies in the face of the experience points and leveling up that normally comes with a standard fantasy theme, but it perfectly fits the idea of a pulp explorer, lost and alone in a dark cave, desperately struggling to make it back to the safety of the outside world. I also think there’s a lot of humor in the classic pulp setting — where else does the ostensible hero bumble into a priceless historical site, smash the place up, then steal its artifacts while claiming that they ‘belong in a museum’? Humor encourages players to buy into the narrative of the game more as they joke it with their friends, so we play up the darkly comic elements of the pulp setting as much as possible. Tom: I like the ‘leveling down / fatigue’ aspect of it. It makes sense. Nice. The tone sounds very ‘Indiana Jones’ to me. That’s great! I like the art of the game. Who’s the artist? Brian: All of the game art was done by the lovely Ghia Mercado, a coworker and friend of mine. Her style perfectly matched the feeling we intended for the game, lighthearted but competitive. I tell people her art’s the best part. Jon: I would absolutely buy a copy of the game for Ghia’s art alone! It’s a big part of why we added the digital artbook to our reward tiers — we want to share all of her concepts and works in progress with our backers, so that they can see the full process that the art took to go from our crude pixel prototypes to Ghia’s gorgeous final art pieces. Tom: Here’s Ghia’s Tumblr so people can see more of her work. It’s very good. What one piece of advice would you give aspiring game designers? Jon: Always be open to new ideas, whoever and wherever they come from. Seek out new experiences outside of your area of expertise and see what they inspire in you. Never assume you know better than your playtesters. Every idea has the possibility to be a great one, if you only take the time to think it through! Brian: Don’t go it alone! It’s so easy to hoard your ideas and feel like you have to work out the kinks yourself, but bouncing mechanics off of a friend can go a long way. They just might be the motivation you need to push a concept to production. And to that point, get your prototype in front of as many faces as possible as soon as possible. Too often I hear concern from new designers about getting their game idea stolen, but that doesn’t actually happen. Really. Jon: Definitely. On that same note, never ask someone to sign a non-disclosure agreement before playtesting your game. They’re doing you a huge favor by taking the time to give you feedback — don’t make it harder for them by making them sign something just to play your game! Tom: This board game community is so supportive and helpful. As a designer, not availing yourself to that is a poor decision. It’s interesting you mentioned the NDA. No one has ever brought that up. Have you had experience with that or seen it happen? The best defense you can take against copycats is publicity, not secrecy. If you are blogging and sharing your ideas constantly, you’ll have pretty good proof that you had an idea first if someone does try to outright clone your game! Tom: Why did you decide to start a game company? Brian: Mostly to make the financials easier to manage. I think the more interesting question is: Why did we decide to self-publish? Jon: We spent the better part of a year shopping Skulldug! to various publishers. We got some great feedback in that time, but found that finding the right publisher is a tricky proposition. Many smaller publishers don’t take submissions, while most larger publishers prioritize working with their staff designers. Even if you find a publisher looking for submissions, you have to fit in well with their existing catalogue — not too different from their target market, while not too similar to any other games that they already publish. Ultimately, we decided it was in our best interests to form our own company, learn what it would take to print and publish a game on our own, and take our work to Kickstarter. It’s been a long road to get to this point, but now that we’ve put in the initial leg work on Skulldug!, we should be well-prepared to publish future games under the Ruddy Games banner! Jon: I’m a huge fan of the action drafting mechanic in Antoine Bauza’s Tokaido. It does an amazing job of creating meaningful decisions, as the value of each space on the board is constantly shifting based on how many like-colored spaces you’ve landed on so far, and skipping too far ahead of the other players can end up giving the other players extra turns. It’s the epitome of easy to learn and hard to master… a great mechanic for all skill levels! Tom: I like action drafting too though I have yet to play Tokaido. 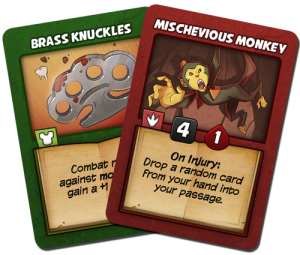 Brian: I’ve recently been all about bluffing mechanics, especially in Masquerade and Skull & Roses. I love how much depth comes from such simple rulesets, especially in Skull & Roses. That kind of elegance is something I’d like to work towards in future designs. Tom: I like bluffing games but really stink at them. You should play with Chris Kirkman if you get the chance. He’s so good at those games. What’s next for Ruddy Games? Jon: Although we’ll be focused on getting Skulldug! printed and distributed for awhile yet, we’ve got a number of projects in early stages in the pipeline. Brian has a card game that he’s working on with another designer, and I’m beginning to prototype one of my own. We’re also not limiting ourselves to tabletop games. Our background is in digital game design, and I have a number of ideas for digital games that I would love to develop under the Ruddy umbrella. The sky’s the limit! Tom: Well, you have an open invitation to come back on as a guest to talk about any of them when you are ready. How can people contact you? Jon: Fans interested in Skulldug! should feel free to comment on the Kickstarter directly! That said, anyone can reach out to us by following @Ruddy_Games on Twitter, liking Skulldug! on Facebook, or emailing us at contact@ruddygam.es. You can also follow me personally at @TheJonAGill on Twitter or email jon@ruddygam.es! Brian: And I can be twittered at @bkopleck, but just emailing brian@ruddygam.es works too. Brian: If you haven’t checked out the Skulldug! Kickstarter yet, we recommend you do that immediately! Jon: Apart from that… stay in school, follow your dreams, and always keep an open mind! That thing you’ve always wanted to do but don’t know if you’re good enough to do it? You absolutely are. Thanks Brian and Jon. I’m looking forward to Skullldug! and it was a bunch of fun talking about it with you. Readers,you should check out Skulldug! right here. The game has funded and will be produced. It looks like a lot of fun so head over and support it. And do it quick because the campaign ends very soon. Thanks for joining me again on Go Forth. Leave a comment by clicking the little black word balloon at the top of the post or on Twitter (@goforthandgame or @tomgurg). Tell your friends too.